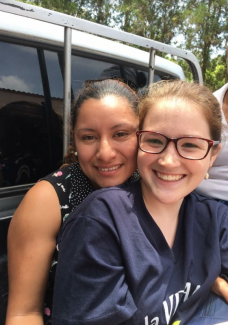 Last summer, sophomore Kedzie Hopkins embarked on the Newman Guatemala Study and Serve trip with Assistant Professor of Spanish Sonja Bontrager and a group of students. She returned with much more than just a story to tell. Hopkins is attending Baker University for the 2018 spring semester but plans to return to Newman in the fall to pursue a major in business and minor in Spanish. We interviewed her to get an inside look at her experiences and takeaways from her trip — including the reason why her host family decided to name their newborn daughter after her. NU: What was your experience with your host family like? Hopkins: My first host family, Veronica, Ruben and Ruben-sito Oliva, was the one that I built a super big connection with. I was with them in La Labor for a week, and I didn’t know what to expect. I was nervous. When I went to Ecuador for a Spanish trip in high school, I stayed with a host family for a week but didn’t really share a deep connection, so I was under the impression that this was going to be the same thing. Kedzie Hopkins and the Oliva family stop for a photo when out and about in the city. 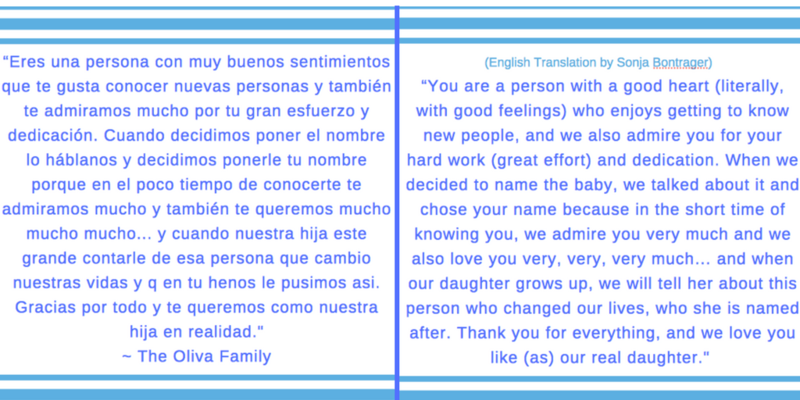 They were telling me about themselves and I was understanding some of it but also running to get help from other people in the group who spoke better Spanish. When we arrived, my host mom came to pick me up because my host dad was at work, and she was just this little lady of about 4’10.’’ She ran over to me with this huge smile on her face and was so happy to meet me. She carried my giant suitcase down to her house because she didn’t want me to have to carry it. That was so sweet! The connection with her was really automatic. I’d stay up late talking with her because the host dad left at 8 a.m. and came back at 10 p.m., which I think is why we hit it off so well. She was alone with the 4-year-old almost every day and there were so many times that she said it was nice to have another grown-up in the house to be able to talk to. Kedzie, right, and her host mother, Veronica. When I was staying up talking to her, she started crying because she was so upset about the fact that I was going to be leaving again in five days. I had only known my host mom one day at this point. On Sunday, the Newman group was going to plant trees to help the environment in Guatemala. But my host parents did something that Profesora Bontrager had never seen happen before. My host dad told Profesora that he only had Sundays off and that he wanted to be able to spend time with me since he hadn’t before. Profesora agreed, and my host family took me on a five-hour car ride to a rainforest near Guatemala City. It was supposedly the place where the national bird is seen the most, and we spent hours walking around the beautiful trails. One really cool thing that Profesora Bontrager had us do prior to the trip was to read books and learn all about the history of Guatemala. Because of that, I was able to make a deeper connection with my host dad, who is a history buff. And because this was the day I really got to know him, our relationship really started to build from there. This was also the first time I heard them talk about naming their child after me. At this point, I could speak a little Spanish and my host mom was great about slowing down and enunciating so that I could understand her better, but when both my host parents were talking, I usually tuned out. It literally hurt my brain to think that hard, so anytime they wanted to talk to me, they’d be like, ‘Kedzie!’ and would say what they wanted to say. I wasn’t really listening to their conversation, but I heard them say, ‘Kedzie Oliva,’ and I was thinking, ‘Are they going to adopt me? They are really trying to actually make me a part of their family!’ At one point I turned around and they just smiled at me. 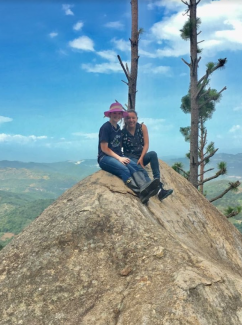 After a hike, Kedzie and her host mom sit atop a hill that overlooks Guatemala City. On the last day, they asked, ‘If we have another kid in the future, can we name the kid after you? And I said something like, ‘Oh my gosh that’s crazy, are you serious? Yeah!’ At first, I didn’t think I was understanding what they were saying, I thought there may have been a translation error, but that’s what they were actually asking me. This same day, they threw a going away party for all of us and invited a bunch of people from the community so we would have people to dance with. They made it into a big potluck and asked all the host families to bring food. It was super fun. My host mom just started bawling, saying, ‘Keep singing, keep singing, don’t stop.’ Then my host dad went over to her and he started crying, and the fact that my host dad was crying made me cry, too. Kedzie and her host parents capture a moment during their last night together. We just sat on the couch, hugged and cried for two hours straight. It was so emotional because they didn’t want me to leave. They were making me promise that I would come back and visit them, and for me, that was a really amazing relationship to have at that time. We exchanged gifts we had gotten each other and started crying all over again. They were overwhelmed by all the gifts I gave them but I was super overwhelmed by all the gifts they gave me. Compared to what we have in America, a lot of the people in Guatemala have very little. 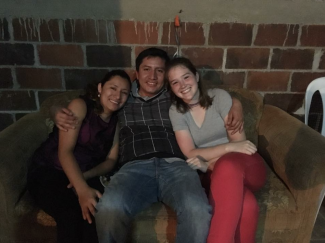 Even though my host parents have so little, they give so much because they love so fully, and it was just crazy for me to experience a relationship like that. NU: What was your reaction to your host parents asking to name their child after you? Hopkins: It’s such an honor that they would even consider me for something like that, especially since the little boy, Ruben, is named after his father. I may not have known them for that long at the time, but I connected with them. Plus I was their first student they had ever hosted, which I think made an impact. 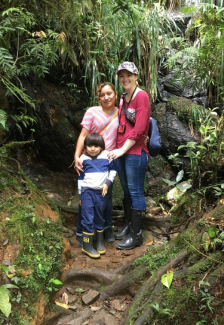 Kedzie, her host mom and 4-year-old Ruben stop for a photo in the rainforest. My host dad messaged me when the baby was born and sent a picture. She was born in January and was given the name, “Kedzie Veronica Lucero Oliva.” Even though they had told me that they were going to, I was still in shock after it happened. NU: Was there a favorite “epitome moment” during your trip? Hopkins: That night after they threw the party was probably my favorite thing because I talked to them about my home life and the difficulties that were going on back home and they said, ‘Anytime you need to talk to us, you can talk to us. We are here for you, and we love you.’ This was huge for me. My host dad just hugged me for like five minutes until I stopped crying. It was really sweet and emotional. By the end of my time spent with them, I realized just how deeply they love and that they really do genuinely care about me. To see that kind of relationship as a reality is crazy for me. 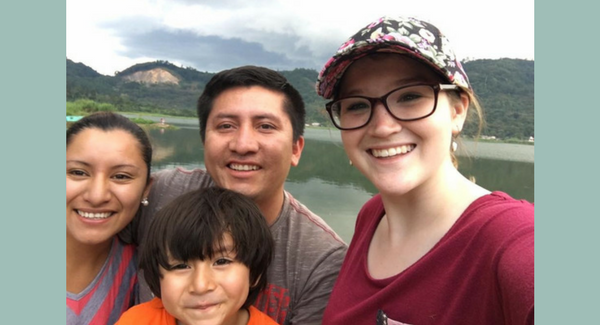 NU: Do you plan to return to Guatemala and visit your host family? Hopkins: Absolutely. I’m hoping to go back this summer. I want to stay for two weeks if I can, just a little longer than before, and I want to stay with them the whole time. 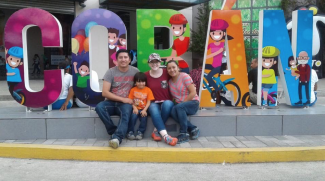 When I stayed with them, they said they wanted me to come back so they could show me Guatemala because they felt like I didn’t get to know the area that they live in enough. 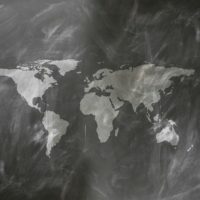 Genuine personal connections between souls in different cultures can save humanity from the damage done by stereotyping and ignorance. What a wonderful experience for everyone involved! Intercultural exchange and communication is so important. Guatemala is a beautiful country full of beautiful people. I’m so happy to see this study abroad program continuing to impact so many lives in deep and meaningful ways and was honored to be a part of the first group to visit. Thank you for sharing this story.